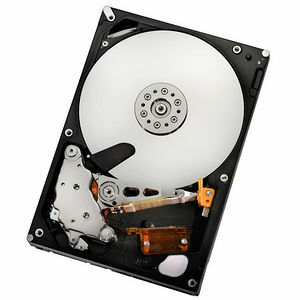 Ultrastar A7k2000 HUA722020ALA330 Hard Drive provides twice the data storage capacity of the prior generation Ultrastar A7K1000 drive, and does so using fewer watts. It is now possible to achieve a colossal 1.2 petabytes (PB) in the footprint of a standard 19-inch enterprise storage rack by deploying the 2TB A7K2000 in a stack of ten 4U, 60-bay enclosures. Hitachi Ultrastar A7K2000 offers better overall performance than slower RPM, capacity oriented drives at impressively low power consumption rates. When compared to the previous generation Ultrastar A7K1000, the 7K2000 offers up to a 155% improvement in sustained data transfer rate, and a 120% improvement in watts-per-GB.